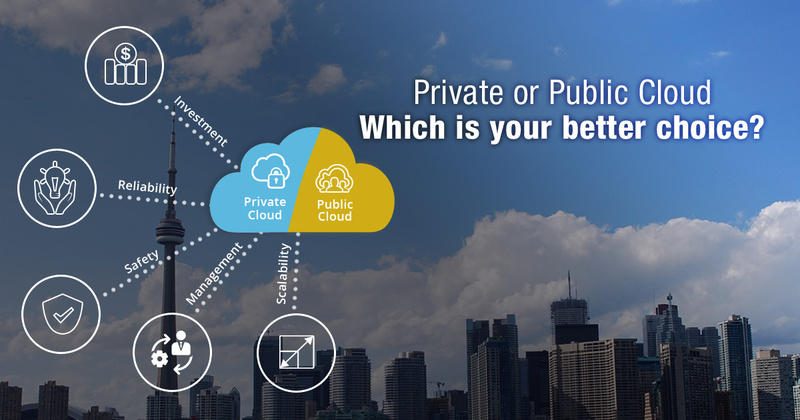 Private or Public Cloud: Which Is Your Better Choice? For organizations that realize the benefits of cloud computing (accessibility, flexibility, cost efficiency), there is still a question of whether your cloud system should be privately run by your organization or outsourced to a public server. In the past, the public cloud was the typical way to go, but more organizations are noticing the cost-saving benefits of hosting their own private cloud storage. In a private cloud storage system, your organization owns the server that run in a virtualized environment. In the private cloud architecture, old, often-unused data is moved to a lower-cost storage tier called cold storage for infrequent access. Advanced replication provides read load balancing over multiple databases and can replicate data between different platforms and operating systems for easy access. This arguably offers the same features of public cloud systems but negates some of the objections, such as control over data, uncertain security, and recurring costs. Initial one-time investment is higher to create the private cloud system. No initial startup cost, but a uniform recurrent cost of rent. Requires dedicated time and effort to monitor server up-time. The service provider is responsible for handling up-time assurance. Private cloud offers more confidence since you are in control of the system. There is less confidence in a public cloud’s security since you do not know where you data is going and how it is being managed. Must take on responsibility for managing cloud system and spend relevant costs to purchase new hardware and software. Service provider is responsible for management. Must incur any costs related to expanding the system. Expansion can be gained by adding new services offered by the provider at additional cost. So which is better? Like most questions, it depends on a number of factors related to each individual organization and how they would use their cloud system. In the long run, a private cloud is more cost-efficient if the cloud is used in-house and the application is not mission-critical. But a public cloud is more convenient when you are a service provider and the application is mission-critical. There are other financial points to consider. Leasing a server rather than buying one yields tax benefits. When a server is leased, it can be written off as an expense that could possibly bring down an organization’s yearly tax liabilities. A private cloud is usually applicable to large and mid-sized organizations that require greater security and control over their information. A private cloud is better for data and applications that are often scaled and require a higher performance. 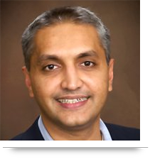 A private cloud is usually a good way for these organizations to reduce operational costs. For organizations that require a custom solution, a private cloud is the best method. Private cloud is also a good choice for organizations with the potential to expand since it is easier to scale the hardware and software to meet the changing needs of the organization. The risks of running your own private cloud system include hardware failure, backup failure, and server capacity limitations. These risks can be mitigated by having a replicated server readily available, having an entire copy of the virtual server in a cold storage cloud environment, and having the setup to migrate the server to the cloud and back readily available. A public cloud is best used when an organization offers a required service. A public cloud is good for budgetary control since it does not require a capital expenditure and has a predictable recurring cost rate. A public cloud has less downtime and little to no maintenance costs. It’s also a great way for an organization to get its feet wet with cloud computing since a public cloud is a short-term commitment. At the end of the commitment, the organization can re-evaluate its cloud requirements and decide on a better system. Although it comes down to the individual organization, a private cloud system is usually the best bet since it offers the best of both worlds. It has all the benefits of cloud computing in terms of accessibility, but the organization has all the control over the data so it is less risky. If things go wrong, disaster recovery management is more convenient than the traditional approach, and business expansion is more convenient. Call us at 484-892-5713 or Contact Us today to learn more about which is better, Private or Public Cloud. Which Cross-Platform Mobile Framework Should You Choose? ASP.NET vs ASP.NET MVC: Which is the Best Choice for Your Applications?